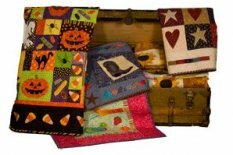 Quilt 'n Sew is proud to be a dealer for Lunch Box Quilts Patterns. These patterns are not sold on-line to the direct public, but we have access to their designs to sell them to you! Please check out some of these patterns! Patterns contains CD with embroidery designs in the following formats:. They are really fantastic and if you are interested, please call the store to order (281-398-0670) and we will be happy to send your selection to you! With distributors and customers from all over the world, Dakota Collectibles continues to be the World's Largest Supplier of Stock Embroidery Designs. Their embroidery design CDs contain designs in several common formats and are compatible with most home embroidery sewing machines. Quilt 'n Sew maintains a kiosk in the store that has all the newest Dakota Collectible Designs. Contact us at, 281-398-0670, to see if we have the one you are looking for. If we do not have it in the store, let us know and we will order it for you! 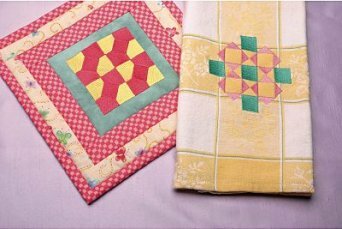 Quilt 'n Sew is an Authorized Baby Lock Retailer which allows us to also offer the whole suite of Designer's Gallery Software. Only an Authorized Retailer can ensure authenticity and the utmost in quality. And, remember - Designer's Gallery software products work with all of the most popular brands of machines, not just Baby Lock. Our sewing department staff are always learning new techniques in the most popular Designer's Gallery products. They work to continually introduce new software and to demonstrate exciting new features and technology. They're also a great resource for learning new techniques and trends - or even learning how to embroider or digitize in the first place. Designer's Gallery software is sold exclusively on-line through Designer's Gallery Software and Baby Lock retailers.